"We are dedicated to the success of our clients by providing high quality engineering services with honesty, Integrity and commitment, while maintaining a high level of employee satisfaction"
The project involved the preparation of a stormwater management concept plan and submission to the Rocky View County for approval. 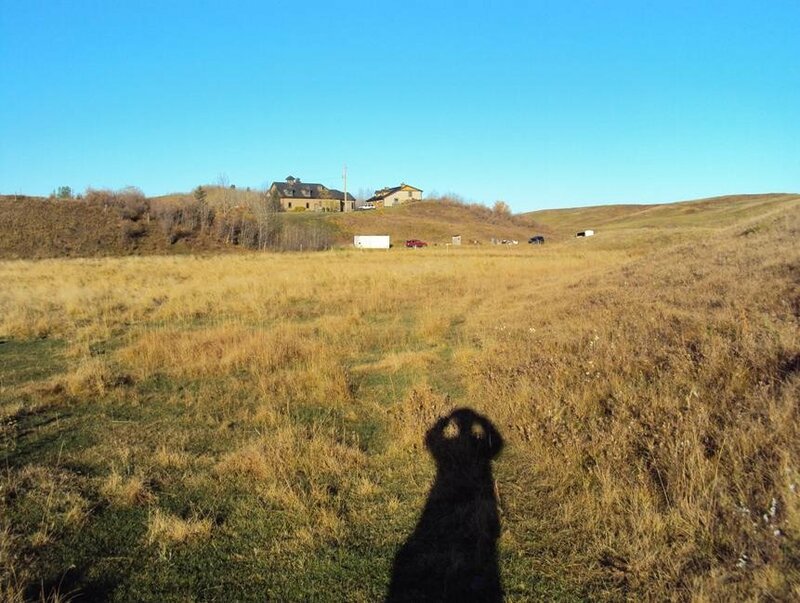 The concept plan was prepared to meet the regulatory requirements set by Nose Creek Watershed Water Management Plan, Bearspaw Master Drainage Plan, and Bearspaw Glenbow Master Drainage Plan. 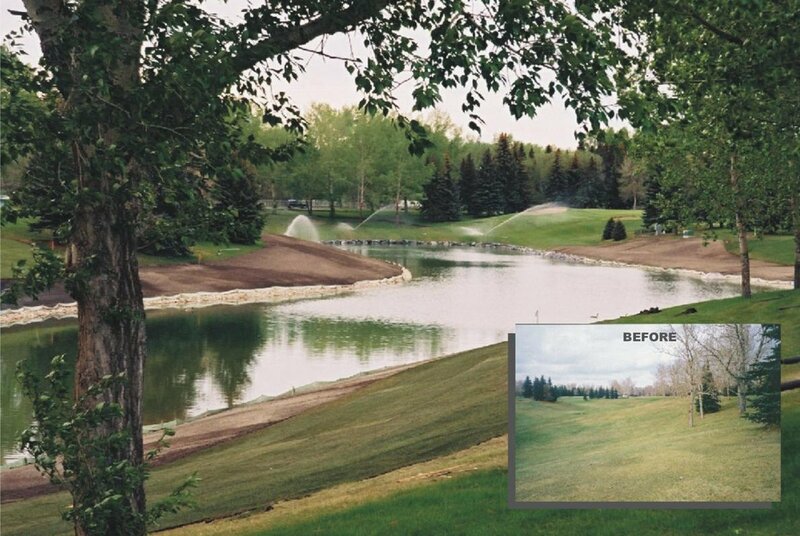 Work included construction of a wetpond-surge pond within the existing Maple Ridge Golf Course, including inlet/outlet structures, a 5 metre high containment dyke, 1,500 dia. pre-cast concrete storm sewer bypass pipe and landscape/architectural features. The project involved the relocation of 1100m of a 1050mm concrete sanitary collection system and 750m of 900mm pre-stressed concrete steel pipe (Hyprescon / Hanson Pipe). 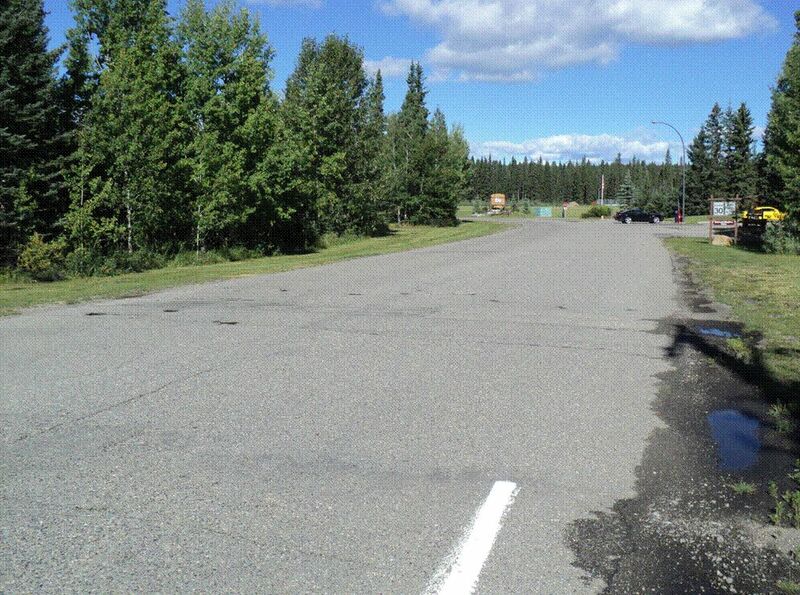 The project allows the City to protect the infrastructure within Fish Creek Provincial Park. 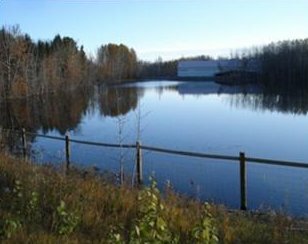 The project involved the construction of four stormwater ponds / wetlands for the purpose of total suspended solid (TSS) removal. 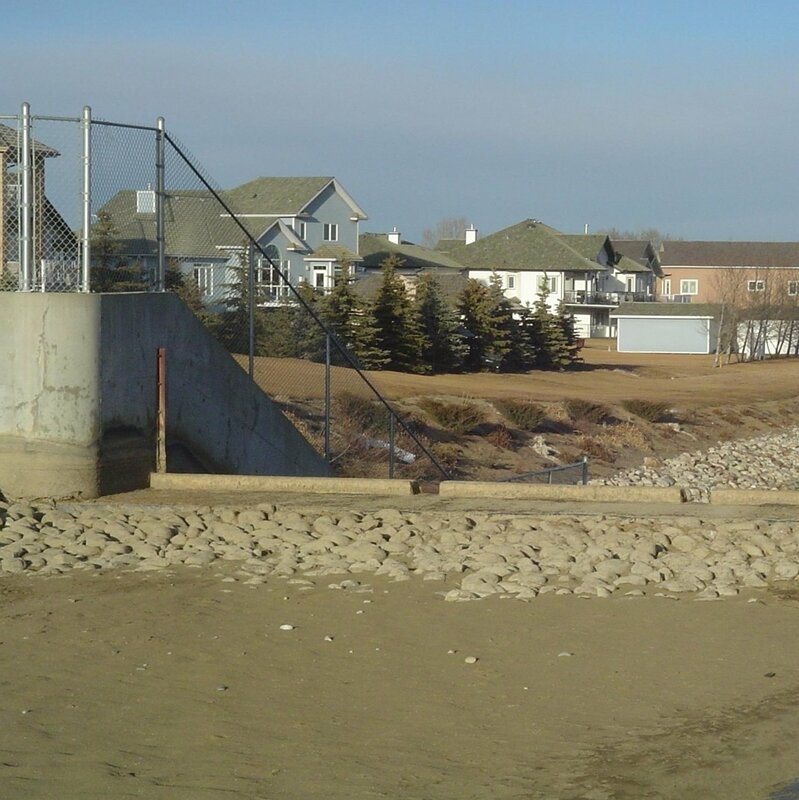 The project included treating water from three existing stormwater outfalls, carrying peak flow from 2 to 12 m3/s. 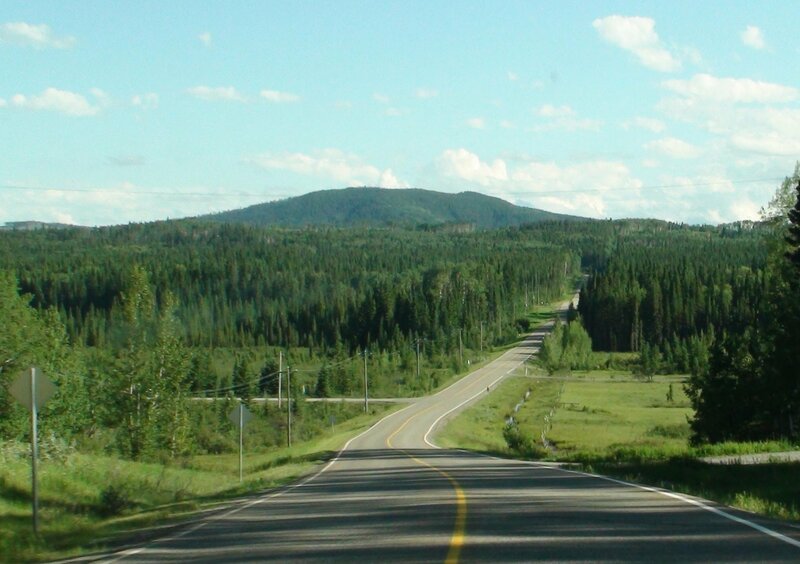 The project is located within Fish Creek Provincial Park and contains a significant historical component. 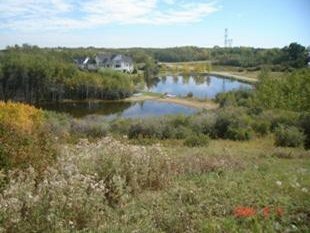 Study identifies and assesses retrofit opportunities for implementing best management practices (BMP’s) to reduce overall TSS loading from urban catchments and enhancing aquatic habitat for Heron Colony and Acadian Natural Area within Fish Creek Park. Detail design, tendering and construction supervision undertaken in 2008 and 2009. Study identifies and assesses retrofit opportunities for implementing best management practices (BMP’s) to reduce overall TSS loading from a 3400 ha urban developed catchment within the City, comprising of industrial, residential and commercial lands. The existing catchment contains 22 stormwater outfalls and has three dry ponds. 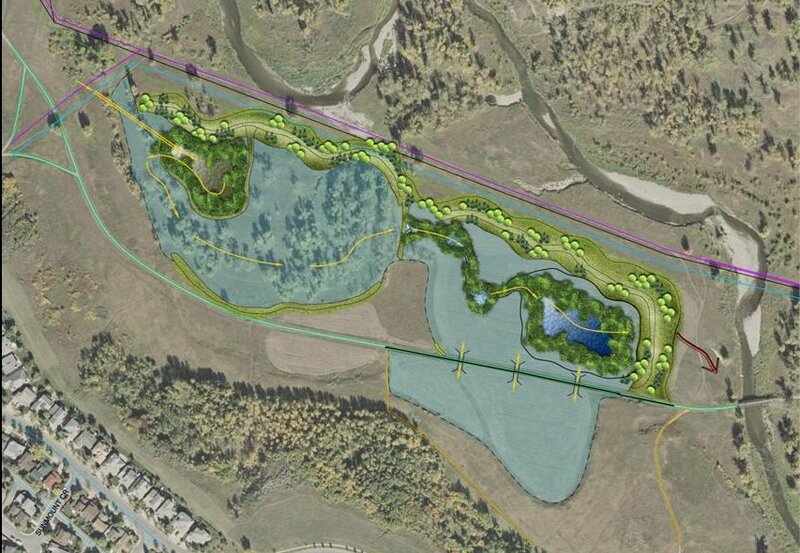 Constructed Wetlands and Stormwater Management Facility adjacent to the South Saskatchewan River. 15 ha. 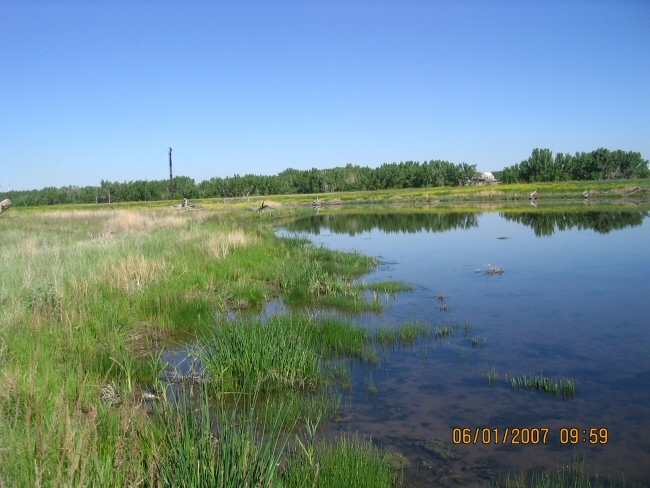 wetland containing a lined forebay and marsh, and riparian area. Contains 100,000 cubic meters of runoff storage for large storm events. Services 260 ha. of residential development. Provides treatment for runoff prior to reaching the river. Includes an outlet structure discharging at a controlled rate through a ditch and into the river. 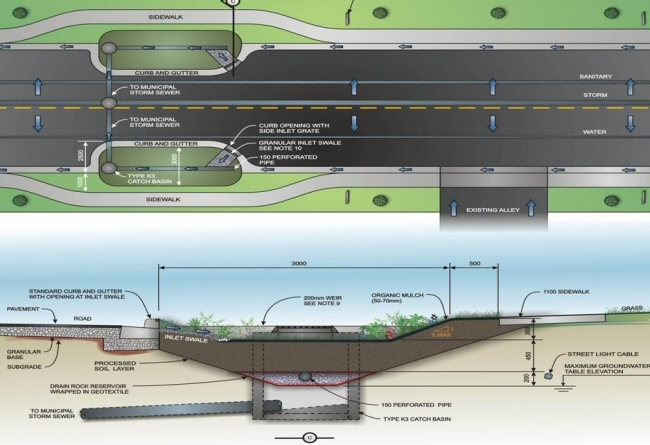 The drainage assessment provides guidance for solving existing drainage concerns along Burma road. The MDP and FRP developed by MPE provides guidance for future development and a framework for solving existing drainage concerns in the Bearspaw area. The MDP developed design guidelines, recognizing the limited capacity within the catchment area. It also proposed to utilize and provide proper outlets and spills from existing natural ponds: re-interconnecting ponds that had been inadvertently blocked or redirected by development activity. The MDP also falls within the Nose Creek Watershed, so recognized recently adopted release rates and promoted BMP’s and LID’s within the framework. The Master Drainage Plan (MDP) provides guidance for future development so existing infrastructure, wetland and riparian areas are protected. The study area covers 49km2 and has a total catchment area of 820km2. The plan identified potential developable areas considering existing constrains including wetlands, riparian and steep graded areas, limited culvert capacity and permitted ASP development densities. Design guidelines were developed to manage stormwater peak flows and volumes to mitigate against downstream environmental impacts. Policies to manage existing and future development were provided. The project involved the preparation of a five-year capital plan as part of rectifying existing drainage problems in Phase 2 and 3 areas of the Townsite. The plan included items to re-establish and rehabilitate the overland drainage network. The items that require upgrading were given Priorities 1 through 3 depending on their impact to the residents and public safety. Western Irrigation District receives stormwater runoff directly into their conveyance channels. Stormwater runoff from developed lands carries significant nutrient loading, high volumes and high rates. Their conveyance channels are significantly stressed. The WID required development of stormwater guidelines that the development community would follow when allowing release of stormwater into the conveyance channels. A framework for stormwater policies aimed at new urban developments was developed. Share in our Growth and Success. View Career Opportunities.